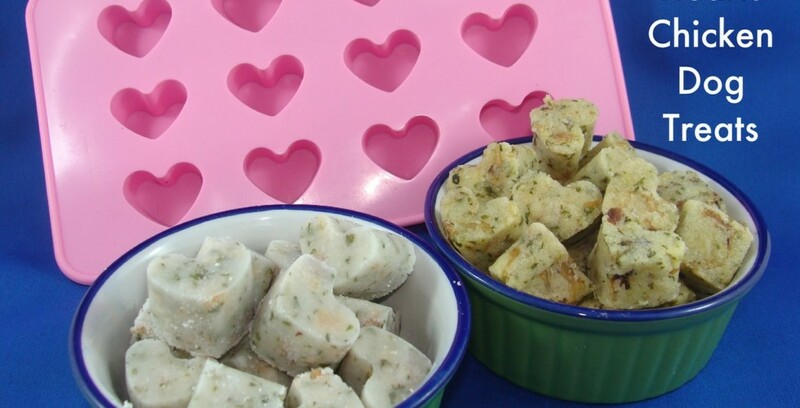 Here are some DIY Dog Valentine’s Day treats, toys and gifts to show your pet how much you love them! Dress them up, show them off to your friends, fill up their bellies, tucker them up with play time and let them have somewhere extra special to sleep! What better DIY Dog Valentine’s Day card to give out than one featuring your furry friend! These simple, easy, do-it-yourself valentine’s day cards are very inexpensive too! 1) Take a photo of your pup with them facing the camera and their mouth closed. 2) With an online program like http://www.picmonkey.com/ you can add text to the photo (i.e. “Happy Valentine’s day” “I ruff ewe” “Will you be my hooman”) and save the edited file. 6) Insert the stick of your treat (lollipop/sucker/dog treat on a stick) into the slit on one side of the dogs mouth and out the other. 7) Bask in their cuteness and pass them out to all the dogs / humans in your life! What a sweet DIY Dog Valentine’s Day gift for your four legged sweetie – a comfy spot to lounge and relax! This easy no-sew dog pillow is the perfect way to pamper your furry true love! Instructions and photos come from here. 6) Flip the fabric inside out again (so your fabric paint design is showing), insert the pillow and then tie knots for the remaining pieces of fringe and tuck them into the pillow side. This cute and simple collar is EASY to make, super adorable and the perfect added piece for your pup on Valentine’s day! Instructions and photos came from here. 1) Cut the fabric into the follow sizes. If you have a BIG dog, you may want to make the two top pieces a big longer/wider but if you pup is small or medium in size these sizes will be perfect! Keep in mind the bottom piece of fabric is 2″ long than your pups neck size and 2″ wide. 3) Fold the bow and ‘knot’ pieces in half so the seem is on the right side and the edges you just folded into the center is facing out. Sew the edge on the right side and trim any loose strands. 5) Sew velcro over the one end of the ‘collar’ piece. Make sure you are sewing it on the side with the edges touching. Remeasure so you make sure it will fit your pup and once you know the length is correct, sew the opposite side of the vecro on the other end of the collar piece (this piece will be sewn on the nice looking side of the collar – not the side where the edges touch. You can use fabric glue if you want to keep the enter edges together or sew along the center edges if you don’t mind that look (or do nothing and leave it). 6) Assemble the collar –> slide the collar into the knot part of the bowtie, place it on your pooch & you’re done! Valentine’s day is about honoring those in your life you love and care about, including your pets! 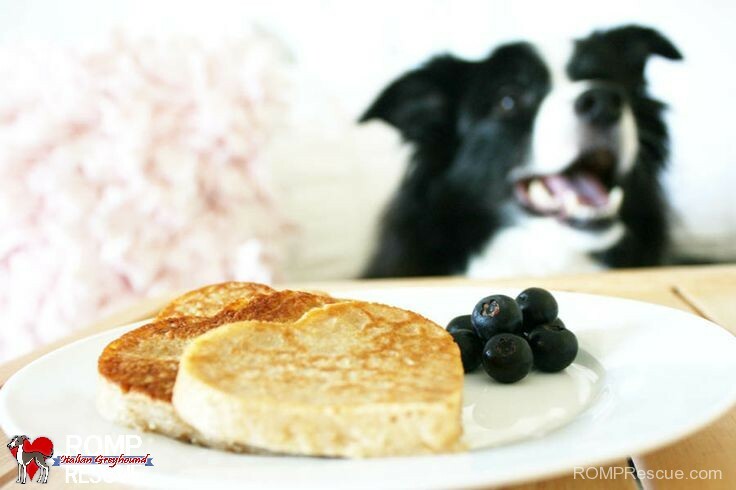 Start the day off right with these delicious DIY Dog Valentine’s Day pet friendly pancakes! Yummmm! **This recipe will make 10-12 small pup-pancakes! Instructions & photos came from here. A little play in the day is just what every pup wants so here is a quick, simple and very inexpensive way to make some braided knot tug toys for that special pooch in your life this Valentine’s day! 1) Take each color and cut them into three strips (for 9 strips total). From whichever color you wan to be your knot at the end of the tug toy, cut an additional 2 strips. You should have a total of 11 strips now. 3) Regroup the strips so they are in three groups (each for each color) and braid them all the way down. 4) Use the 2nd extra strip (you cute in step one) to tie a knot around the remaining end, a few inches from the edge. You can trim the edges of the strips used to tie the edges if necessary. 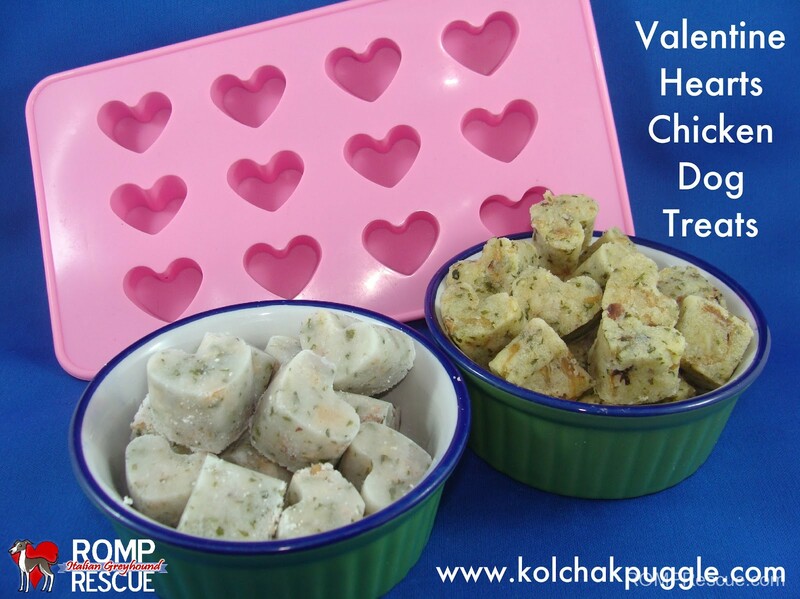 These have a hot and cold recipe for the DIY Dog Valentine’s day chicken dog treats so it’s perfect for any pup! You can also substitute whichever meat is your pups favorite for the chicken 🙂 The directions and photos were found here. 2) Spoon into silicone molds. 5) Serve and store extras in fridge. This entry was posted in ALL, Pooch Projects and tagged bow tie, breakfast, card, chicken treats, cold, collar, collar doo, delicious, diy, diy dog bed, DIY dog bow tie, diy dog pancakes, DIY Dog Valentine's Day, do it yourself, dog, dog chicken, dog chicken treats, dog pancakes, dog treats, doggy, dogs, easy, fleece, friendly, good, hand made, handmade, healthy, home made, home made valentine's day, homemade, homemmade, hot, ingredients, italian greyhound, lollipop, mouth, no sew, nosew, pancakes, pet, pets, photo, pillow, pinterest, pooch, pooches, pup, pups, recipe, simple, sucker, sweet, treat, v day, valentines day, vday, yummy. Bookmark the permalink.